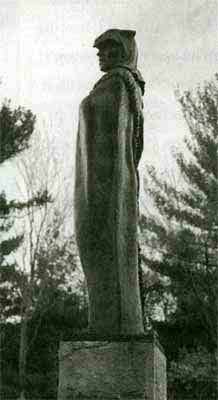 In 2004, sculptor Robert Morton was commissioned by the Weirs Action Committee to create a historically accurate statue of a Native American, as he would have appeared to the explorers who reached Weirs Beach in 1652 and who carved their initials on the Endicott Rock monument. 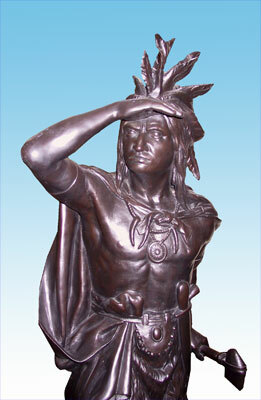 The statue was dedicated on June 4, 2005, with participation of NH’s Native American Inter-Tribal Council. The above photo shows the fragile old statue, “Captain Jack” (click here to enlarge.) 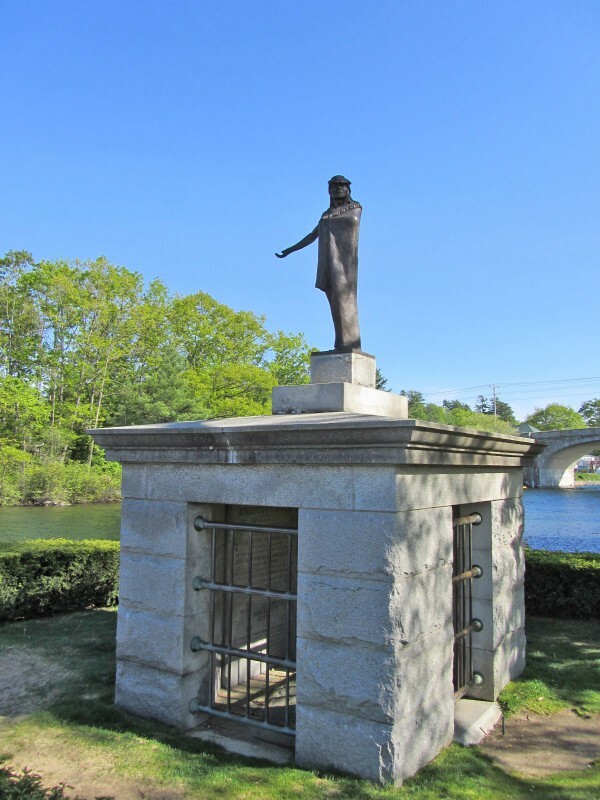 Captain Jack was donated by Dr. J. Alonzo Greene, owner of the New Hotel Weirs, and placed atop the monument in 1901. The statue was one of three copies made of zinc alloy by the William Demuth and Co. of New York, a purveyor in the 19th century of cigar store items, and was the symbol of the “Captain Jack Tobacco Company”. 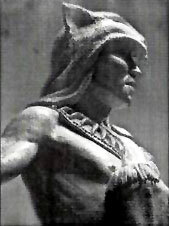 Never historically accurate, instead of local Native American Abenaki and Pennacook features, the figure wore a Seminole headdress and carried a Mohawk tomahawk. Struck by lightning in 1978, the statue was repaired and rededicated on May 27, 1983, only to be vandalized three months later, when it was found standing in the Lake with water up to its armpits. 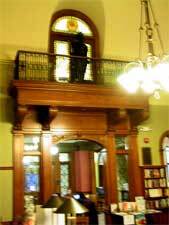 After another round of repairs, it was placed on its permanent perch on a balcony overlooking the periodical reading room at Laconia’s Gale Memorial Library (photo below).